Ok, if you haven’t heard of singer-songwriter Brooke Hatala yet, don’t feel bad. Most of her career still lies ahead of her; after all, she is only 11 years old. That said, you should meet her while you can, because before you know it you will need a VIP backstage pass to get close to this young musician! 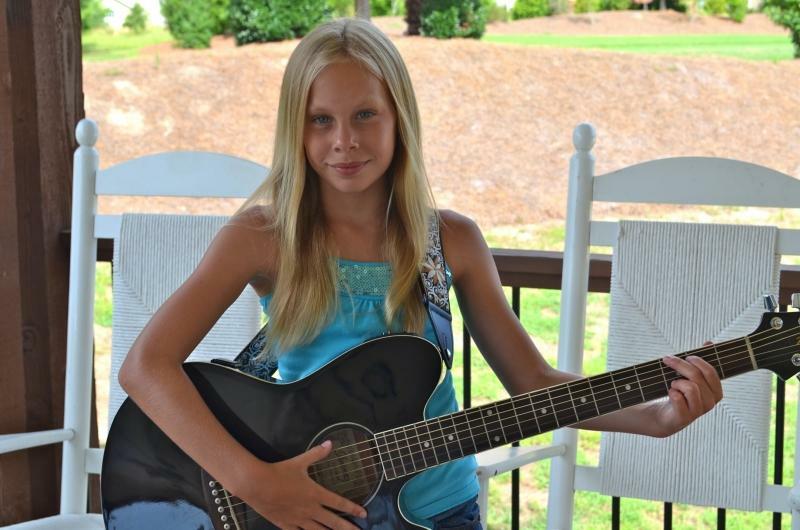 Brooke is based in Cary, and she will be performing live at Pullen Park tomorrow (Saturday) night 8p-9p. Watch some of her videos on YouTube to get a first impression – then head out to celebrate the end of summer. I usually avoid Pullen on the weekends and leave it to people driving in from everywhere. But the overcast weather is often a good deterrent, and I want to hear how Brooke sounds live. If Jazz is more your thing, you ‘big night’ is tonight. The New King Rippers, a jazz combo is playing Music On The Porch at Mordecai Park. You can preview them on YouTube as well. Via credit: I heard about Brooke Hatala via WRAL.com. Photo credit: (c) 2012 Brooke Hatala. This entry was posted in Art, Music, Outdoors, Stage by daddyweekly. Bookmark the permalink.